Having gone through the heartbreaking experience of two miscarriages (15 weeks and 9 weeks), I wanted to create something for other women experiencing this type of grief and loss. The words “Miscarriage” and “Pregnancy Loss” do not equate to the trauma experienced. At any stage of pregnancy, we have already become parents. We have fallen deeply in love with our unborn child. We have experienced hopes and dreams and ideas about what this baby will be like, how our lives will change, and the future we see for ourselves as a family. It is a loss that stings so deeply and it is a grief that some may never find peace with. It is a loss that many people do not talk about, but so many experience. While first trimester miscarriage is common, there are those that have lost their baby during the second trimester. There are those trying to pull their lives back together after a stillbirth. I simply can’t imagine a pain so deep that would accompany these tragic losses. But those going through this heartache need love, support and acknowledgement of their grief and their baby who’s life was so terribly short. Please acknowledge our loss. Don’t pretend like it didn’t happen. We are grieving deeply. There is no quick recovery. If I’ve named my baby, it feels good to me to hear his name. To recognize that his life was real, that he is my son, and that I became a mother. It’s ok to acknowledge our loss on Mother’s Day or Father’s Day to let us know you are thinking of us and know that we are heartbroken that our baby is not here. Know that important dates are traumatic: the planned due date, the anniversary of the loss, the date we found out we were pregnant. Be aware that for those dealing with infertility and experiencing the miracle of pregnancy through medical intervention, the loss is terrifying. We are not sure if we can ever get pregnant again. Don’t say things like, “It was God’s Will”, or “It was not meant to be”. Do not assume there must have been something wrong with the baby. (All three of my angel babies were genetically normal). Do not insinuate that the mother and/or father did something wrong or that it was their fault. Recognize that the person grieving may not be able to attend baby showers, or visit a friend or family member who recently had a baby. Give space without pressure or expectations in these situations. 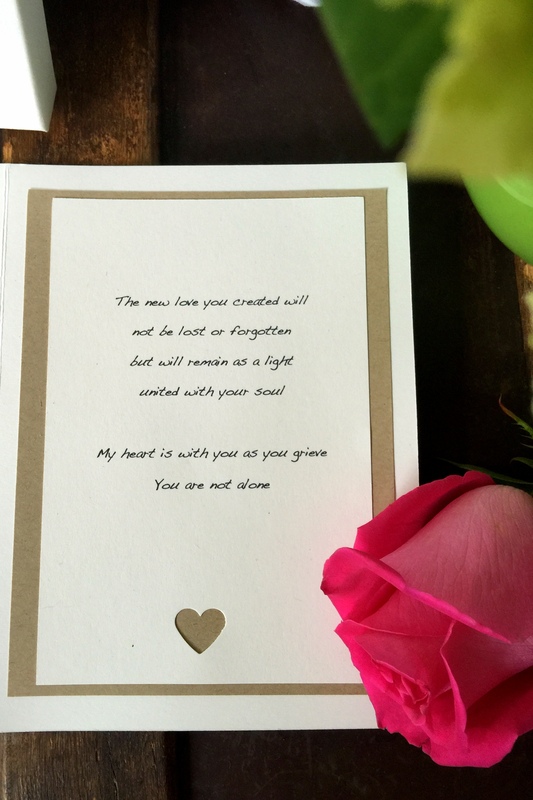 In order to help those witnessing a loved one who is experiencing grief after the loss of their baby, I’ve created a gift that can be given to the woman or the parents of the unborn child. 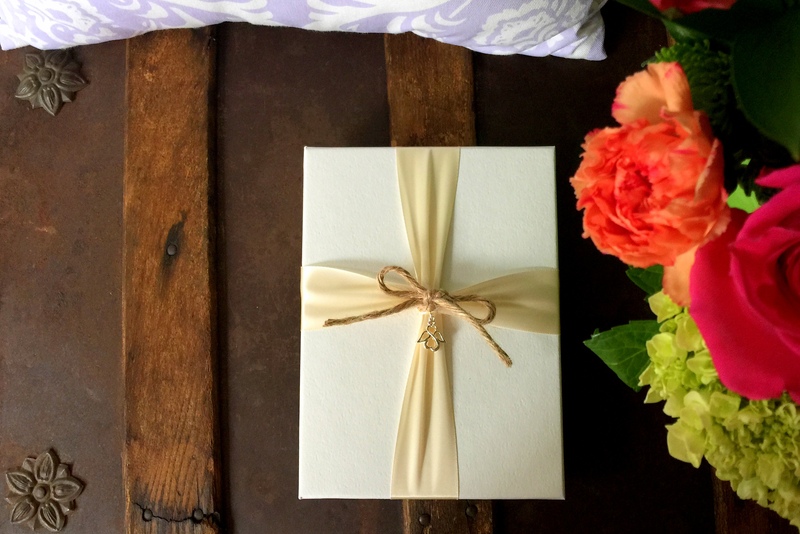 If you do not know what to say, this gift will provide the acknowledgement of the loss while also providing something for them to hold on to. I have created a hand made Angel Baby Keepsake gift box and card. 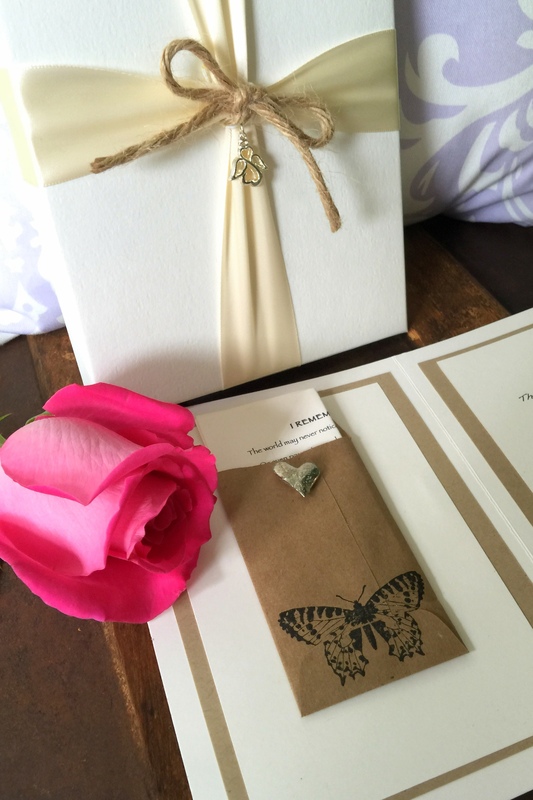 The outside of the gift box includes an ivory satin ribbon and silver angel charm. 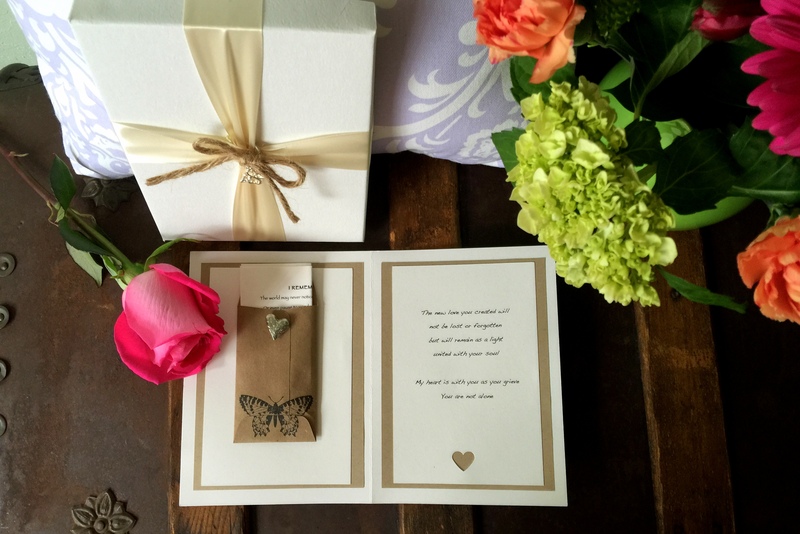 Inside the box, is a card decorated to hold their baby in memory and love. Included is a poem and pewter heart. 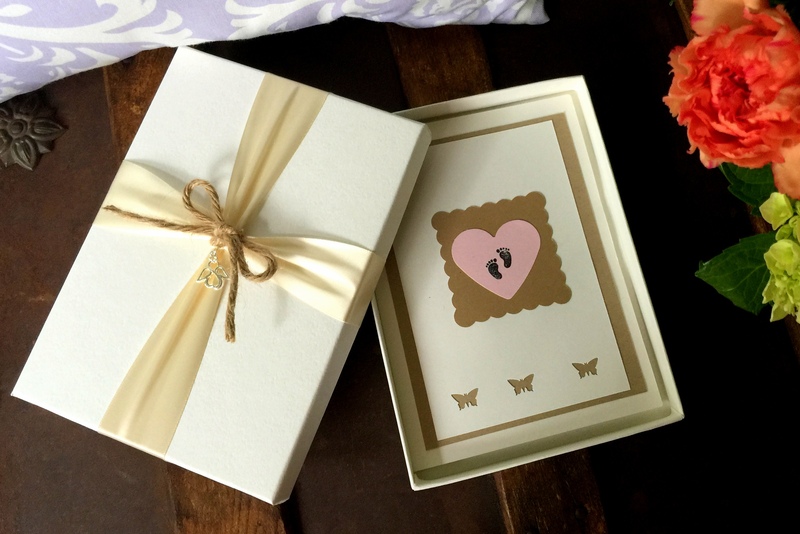 The box can be further customized by the parents to add items such as an ultrasound image or to write notes to the baby or to add little items in memory of him or her. Today is the two year anniversary of losing our baby Jaxon. I think the worst of the memories and heartache hit me last week and over the weekend. We spent all day Saturday planting flowers and it was a great way to distract myself and enjoy the time with my husband. It was good for us to both have some beautiful, bright colors to look at. And in the midst of all of our planting, we discovered that when our dog gets to spend that much time in the yard slightly unsupervised, she loves to dig. I gave her a treat and she spent so much time digging holes, burying it, unburying it, digging again…and again…and again. It was hysterical to watch because she would dig the shallow hole with her paws, and then bury the treat with her nose. Lots of pig-like snorting going on. A simple, sunny day in the yard was just what we needed. That got me through Saturday, and then Sunday was just downhill all over again. Anniversaries of tragic events have a way of physically and emotionally consuming you from the inside out. I find that I have to face it head on, in order to move through the day in hopes of being stronger at the end of it. Today is a day we will honor his memory, but I’m just not sure how we want to do that yet. But first I will write. We decided to pick a song to play when we spread his ashes. There was a song that repeatedly played on the radio that summer and although we had not yet shared this with each other, it turned out both of us thought of Jaxon every time we heard it. It was “Gone, Gone, Gone” by Phillip Phillips. 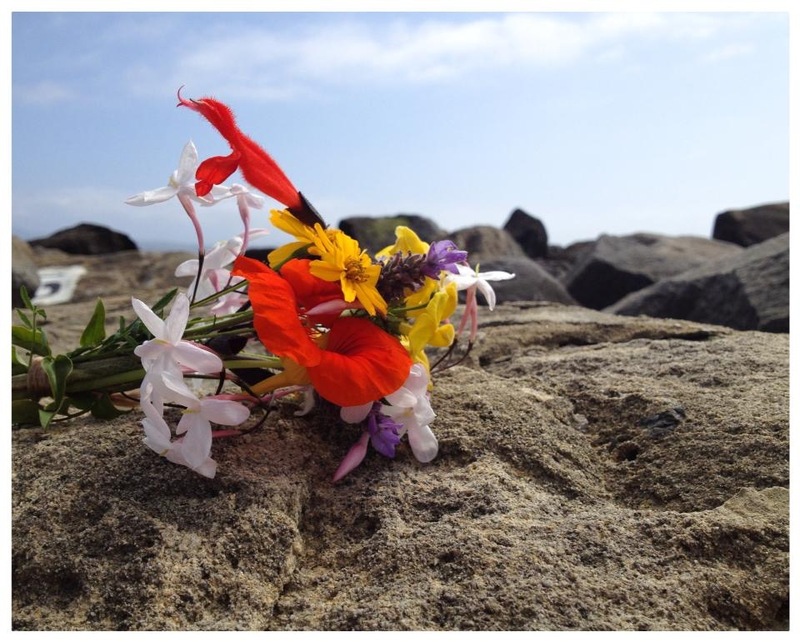 My husband and I climbed up on the rocks and we waited for the best wave to come up and help take his ashes away. And it was all so perfectly timed with the water and the words in the song. So perfect in fact, that we felt our baby with us so strongly in that moment. After we let him go, we just stood there on the rocks holding each other. 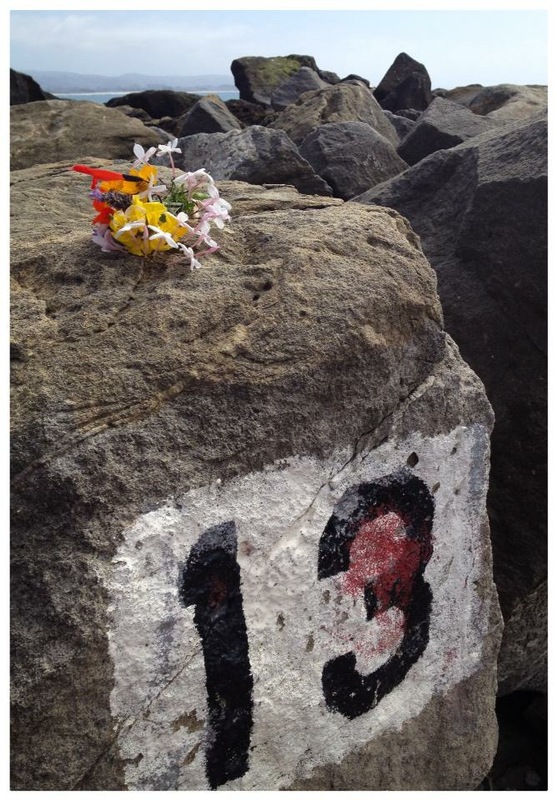 On the one year anniversary, we returned to our number 13 rock. My husband created a little bouquet of flowers from our yard and we placed them there. This is the photo you see with this post. Today, 2 years later, we continue to love you, adore you and miss you…our baby Jaxon. Your heart forever in ours. Love, Mommy and Daddy. Are you brave enough to look in my window? While reading other blogs about pregnancy loss, I’m reminded that this type of tragedy often leaves us feeling isolated in our grief. It is not a grief that is easily understood unless you’ve experienced it yourself. And I know that I could have never imagined that a journey like this would take me to such dark places. And I know I was not able to say the helpful words or offer the support needed to anyone else in this situation until I lived through my own terrible miscarriages. While in this space of grief, I go through the day facing people at work and in my life like it is just another day. And I smile and look normal. But on the inside, it just hurts so badly and only certain people know it’s there. And keeping it there for so very long is just plain exhausting. This has a lot to do with why I started writing. 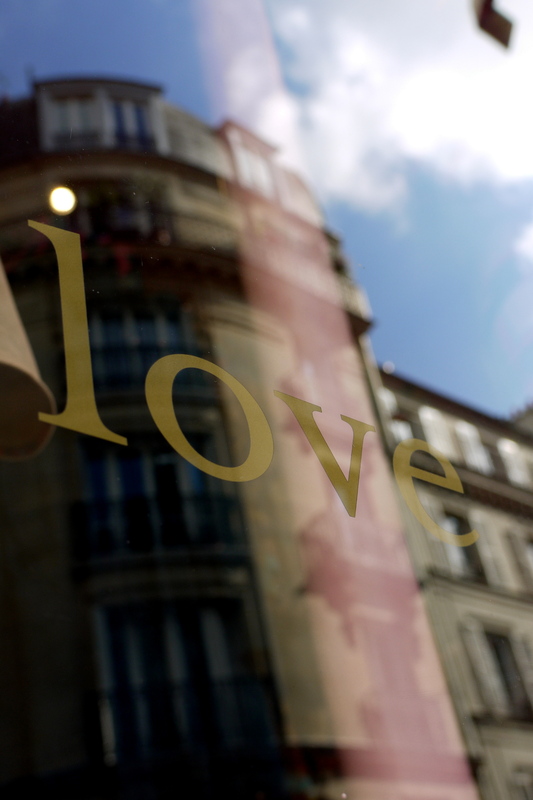 This blog is my grief that just sits and waits on the inside. The grief that nobody sees as they just walk on by. My words are the window that I’m opening for you to see my story. Are you brave enough to look inside? While time heals grief and loss, there is something so different about losing a baby, no matter how early in pregnancy. There are just too many things to grieve. It is not just the beating heart inside of me that I fell in love with that is no longer there. It is every thought that entered my mind while pregnant that showed me a picture of that baby growing up. That showed me the sound of what it would be like to say their name or hear them giggle. A million beautiful, exciting, hopeful thoughts enter my heart and my mind and I think that maybe this time, I will be lucky. That this time I can experience the joy of pregnancy, instead of the fear of it being taken away. The grief is so raw and confusing when these lovely thoughts are so abruptly and shockingly halted and stripped away so violently and unfairly. And then there is another reason to grieve…that thought that never goes away…What if this is one step closer to me never having a baby? That is the fear that is sitting with me now. Sometimes I can tuck the grief safely away and enjoy the present and everything else that my life is about. I will certainly not give up on happiness. Having a baby is not all life has to offer. But sometimes it is all consuming and overwhelming and while in this space, I just need to feel it. I need to let it be what it has to be until I can find my own way out of that darkness. I have to give the sun a chance to shine through my window until the smile you see on my face is a real smile and what you see on the inside shines back again.